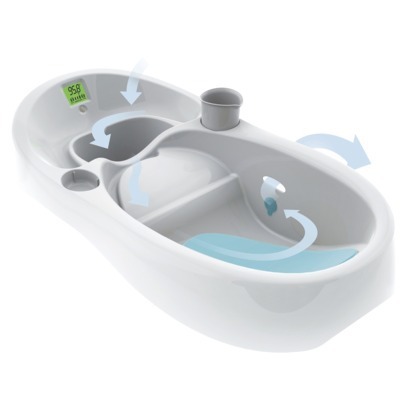 The Infant Tub is the only tub designed to be used with running water, so dirty water flows out as clean water flows in. With color-coded digital thermometers that show the water temperature at a glance, the Cleanwater Infant Tub makes bath time easy. Comes with a snap-in rinse cup, fits most single and double basin sinks and can also be used in the bathtub.